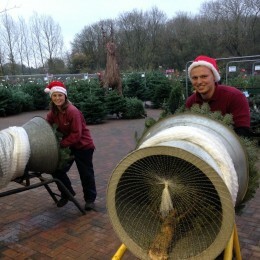 Christmas is fast approaching and this weekend is the perfect time to purchase your real Christmas tree. 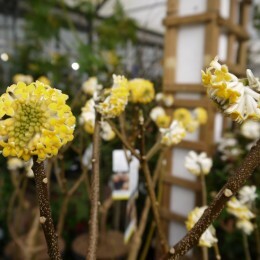 We recommend you buy early to ensure you can choose the tree you want and then store outside until you are ready to put the tree up. 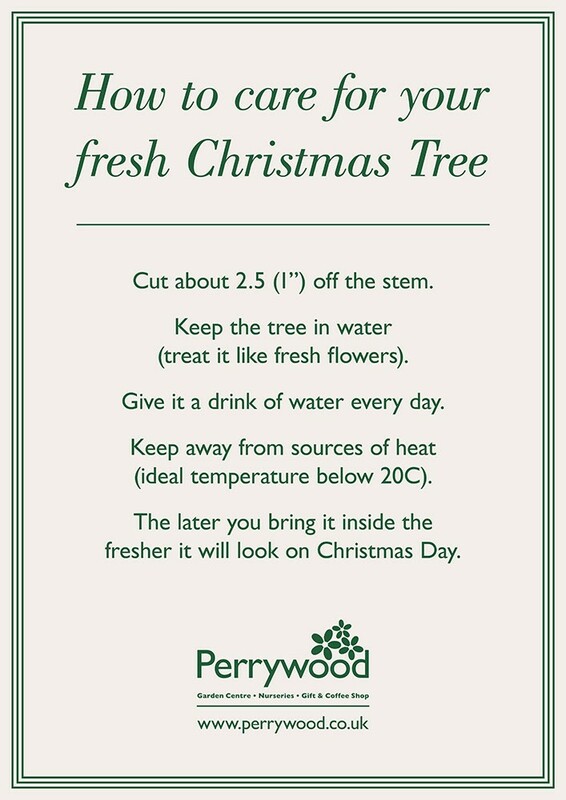 Whilst artificial trees are incredibly popular, nothing can beat the sight and smell of a freshly cut Christmas tree. 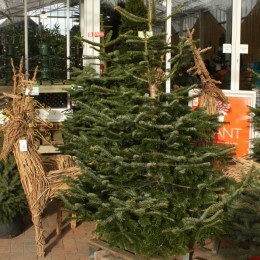 Our Plant Area is currently filled with hundreds of cut Christmas trees in assorted sizes. The majority of our cut trees are the beautiful Nordman Fir. Renowned for its bushy shape and most importantly, for its reputation for good needle retention, the Nordman Fir is the most popular variety of Christmas tree in the country. 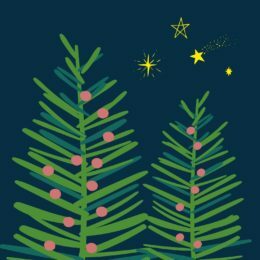 We also stock the Fraser Fir (slightly up turned full branches with dark green/blue needles) and Noble Fir (soft upward sweeping blue green needles). We recommend purchasing an Easy Fix Classic Tree Stand, made of steel and long lasting (available in green or red). This year, all our cut trees will be sold with a pre-drilled hole in the base. 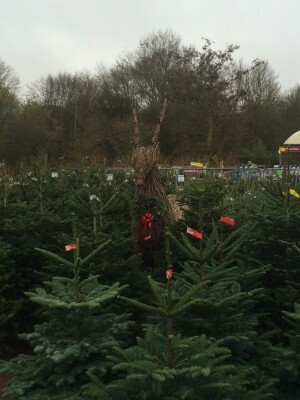 Simply set the tree on top of the stand pin – that’s it, job done! 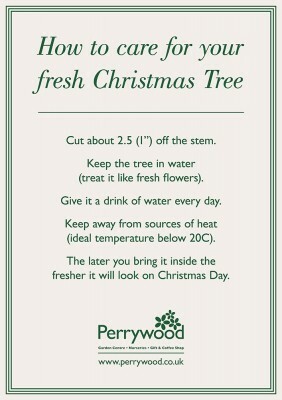 Fill the bowl with water to keep your tree fresh for a long time.